A student has been arrested in Chicago for filming at a movie premiere and live streaming it on the Internet. The individual reportedly used a camera phone to live stream on Facebook but the infringement was monitored by an anti-piracy outfit 8,200 miles away in India who alerted police in the United States. Taking recording equipment into a cinema with the intention of grabbing a copy of the latest movie is a very risky occupation in the United States. Thanks to the Family Entertainment and Copyright Act 2005, doing so is a criminal offense. “Any person who, without the authorization of the copyright owner, knowingly uses or attempts to use an audiovisual recording device to transmit or make a copy of a motion picture…from a performance of such work in a motion picture exhibition facility, shall..be imprisoned for not more than 3 years, fined under this title, or both,” the Act reads. Yesterday the unlikely-named romantic comedy “A Aa” enjoyed its worldwide premiere. One of the theaters showing the movie was the Muvico Rosemont in Chicago. According to the movie distribution company behind “A Aa” there was some unexpected action Thursday at the 18 screen complex. Bluesky Cinemas reports that a student from Valparaiso University, Indiana, took a mobile phone into the premiere and began recording the movie and live streaming it on Facebook. While it’s relatively common at this point for people to get caught by theater staff, the infringement was reportedly monitored by an anti-piracy team 8,200 miles away in Hyderabad, the capital city of the southern Indian state of Telangana. 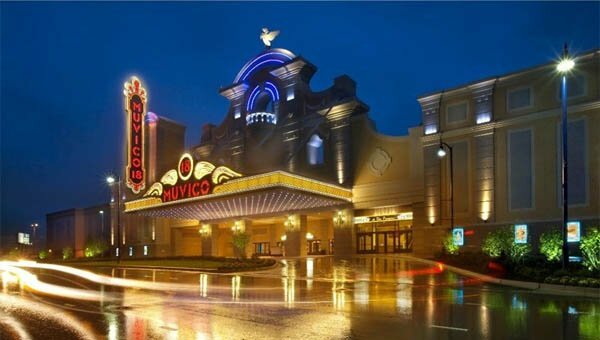 After taking action to remove the links on Facebook, Bluesky Cinemas’ anti-piracy team say they contacted management at the Muvico Rosemont in Illinois. In turn, staff there called the police. “[The] student was caught red-handed with [the] content,” Bluesky said in a statement. But while these kinds of cases often get seriously out of hand (and an arrest is of course somewhat serious), Bluesky reports that the content recorded on the students’ device – all few minutes of it – was subsequently deleted. That hints at a no-further-action scenario. Nevertheless, the police clearly thought this offense was worth dealing with based on instructions issued from half way around the world, even if the recording was probably not professional in nature. “Recording and sharing unauthorized video in social media is also a part of cybercrime,” Bluesky warns. Update: Contrary to Bluesky’s report, Commander Gregory Nazuka of the Rosemont police department informed Fortune that no arrest was made. According to him the theater owner merely filed a police report online.